A new, unsettling psychological horror film about a woman haunted by her sister's unsolved murder. It's smart. It's spooky. It's the mid-west in all its Gothic glory. "The Murder King" is a short film about a young woman who is haunted by the disappearance of her sister, and the letters she receives from the killer. Join our tight-knit, talented team in bringing something new and haunting to the big little screen. Help us make "The Murder King" a terrifying reality. When Leanne was a girl, her seven-year-old sister, Emily, disappeared. They never found her body. They never solved the case. Months later, Leanne got a letter from the killer. And then another. And another. "The best part of killing, they say, is seeing the light go out of your chosen's eyes. But that's misleading. It's not the life itself leaving the body that's transcendent. It's the hope, watching it drain away - that's the beauty of it. So you see, there are as many ways to murder as there are to love." Now, twenty years later, Leanne is still haunted by her sister's murder, and the killer who won't let her get away. The idea for The Murder King came about one day on a treadmill while imagining the mindset of a serial killer who approaches murder as one might a relationship, or an art. Although I've worked in many different genres during my writing career, horror is one of my all time favorites. So when the opportunity came about to work with two of the best film people I know - Greg and Michael - to make this film, I was thrilled. There's something inherently exciting about exploring the unique creativity that exists where you live. The Omaha area has been one of the most welcoming and dynamic communities I've ever seen in terms of support for the arts. With this film, it will be an honor to collaborate with and contribute to this community - our crew, cast, and locations are all local. But we need your help to make it happen. Born in Seattle, raised in Southeast Asia, and now an Iowa local, Kate Brewer has a taste for all things adventure. 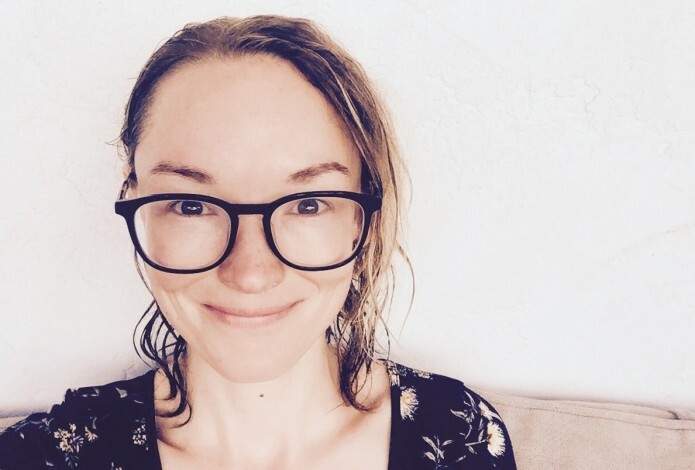 She graduated from Florida State University film school in 2007 and has been working as a writer, creative developer, and director ever since. She has written for a wide variety of companies and individuals including Disney, Take180, Benefit Cosmetics, and the Tahirih Justice Center. Her work has taken her all over the globe and she's excited to explore and contribute to Omaha's dynamic arts community. In addition to directing "The Murder King," Kate is in the process of making a feature documentary about forced and child marriage in the United States, entitled "Knots: A Forced Marriage Story." A consummate adrenaline junky, horror is Kate's favorite genre. 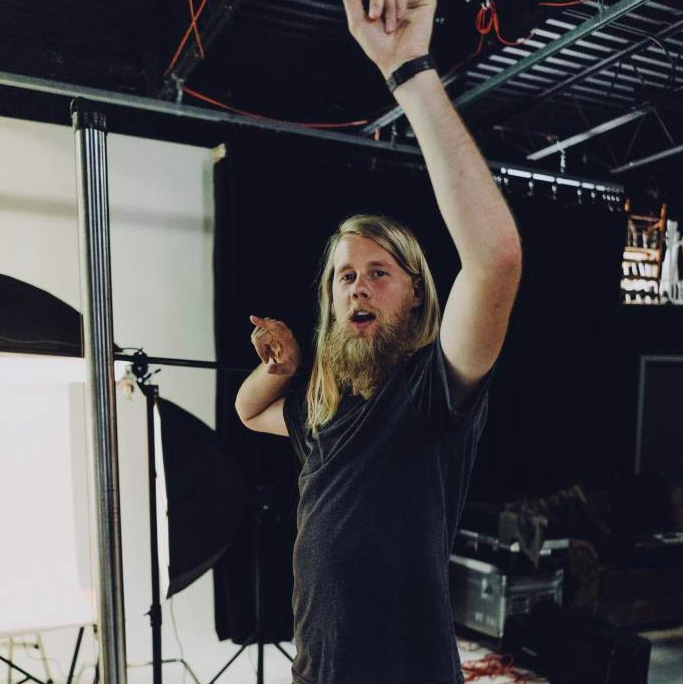 Filmmaker, producer, and general enjoyer of life, Michael thrives off of collaboration, ideation, and creativity, and loves bringing out the best in people. Michael's mission in Nebraska is to establish it as a haven for creatives and to recognize the incredible talent and dedication we have in the Midwest. Michael spent his younger years running around barefoot in Lincoln, Nebraska, building lego sets and reading Calvin & Hobbes. After college, he helped his brother start a production studio and fell in love with motion. Today, he's worked in the industry for over six years, shooting & directing projects, and even supervising a studio and creative team. 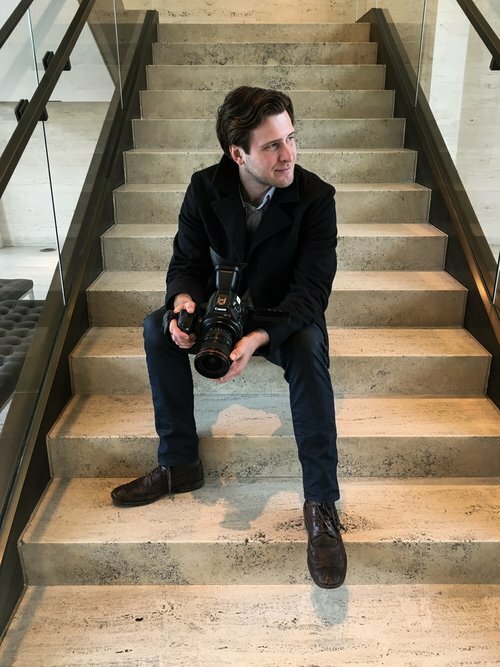 "I love film because it connects all the things that drive me: constant challenge, seeking inspiration, continuous learning, surrounding myself with creative people, and a visual art form I can pour myself into." Greg has produced and worked on several high end commercials for large iconic brands including Kool Aid, Marriott Hotels, Kingsford Charcoal, Exxon Mobil, Blue Cross Blue Shield, Kraft Singles, etc. Though his production work has brought him all all over the USA, he had been based in Chicago but now recently local to Omaha. Beyond commercial work, Greg enjoys collaborating with artists on independent short films and music videos. He is a key asset in matching a creative idea with the people that can execute it. Even short low-budget films need solid support to get off the ground. 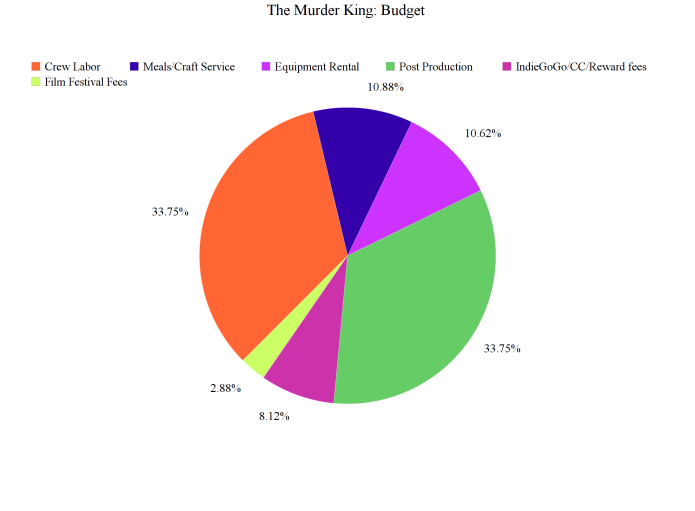 We've set our budget at $10,000 to cover the most basic costs of production and post-production - things like food for the actors and crew, equipment rental, editing, special effects, music licenses (because what's a good horror film without some bone-chilling music?) and film festival fees. Ideally we want to be able to pay our hardworking crew and actors as well, so the more you contribute, the more we're able to compensate our talented team for their time and effort. Here's a basic breakdown of what your contribution will go to: We've designed our rewards to be a fun and engaging way to get involved and support the film, and include perks like appearing in the film as a featured extra, exclusive unseen "letters from the killer," signed posters, and tickets to the premiere party. We can't do this without you, please help make our collective nightmare come true! As with any sort of creative venture, especially film, there are always some risks associated. The two biggest questions being: 1. Will you actually make the film? A: Yes, absolutely. We're pushing forward and planning our shoot because we want this film to happen no matter what. 2. Will I actually get my perks? A: Yes. We are still working on the timeline of when we'll have everything delivered - obviously some perks will arrive faster than others, such as being an extra in the film, and others like the finished DVDs and posters will take longer. Michael, Greg and I are great with deadlines and getting things done, so when we promise rewards, we will deliver and we will be transparent about when you can expect them. We understand if you just can't contribute financially, but that doesn't mean you can't help! Here are some other ways to help make The Murder King happen: Spread the word! Share this campaign through email or on social media with family and friends - anyone who you think might be interested. Write about us! Know any online or local magazine contributors who'd be interested in doing a local interest story on this project? Reach out! Get creative! Have other ways you might be able to contribute that aren't listed here? Feel free to contact us! From the bottom of our dark hearts, thank you for your help and support. We are planning to have the film completed by April 2019.